Very nice effort. Wish Pandora screen real estate is a little bigger just gor this. Thanks. 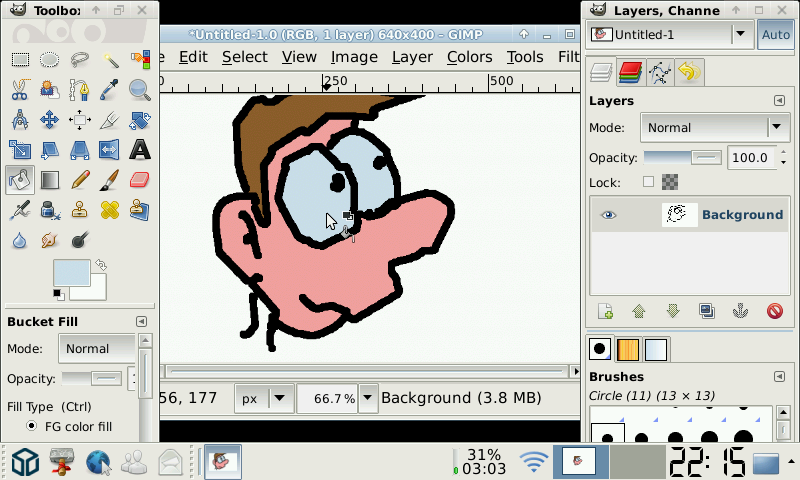 Include a newer GTK in the PND? 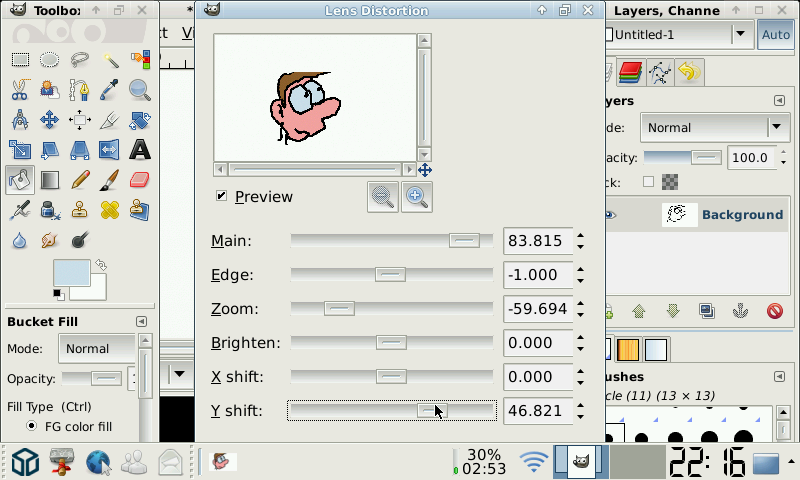 Or upgrade GTK in the firmware? Time to upgrade to 2.8 ? 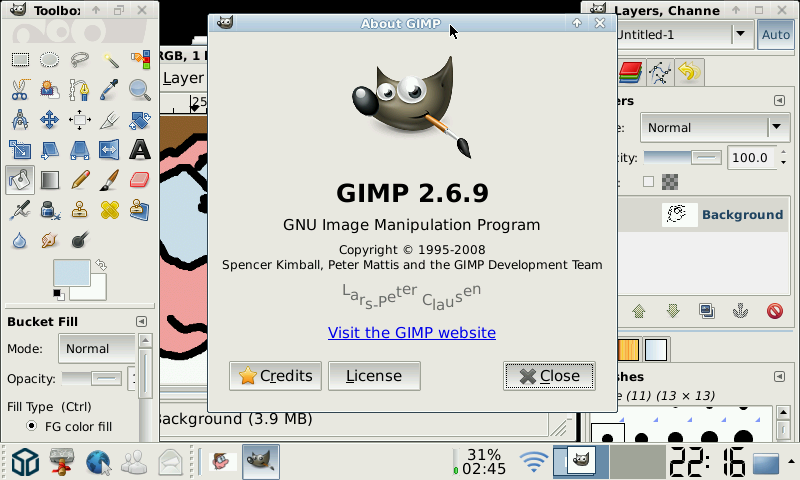 The new version of GIMP has made some improvements w.r.t. screen real estate use, so this will probably make it better on the Pandora. Also the single-window mode of 2.8 probably makes a lot of sense on the Pandora.